The history of Ngāti Rangitihi traverses from our beginnings as descendants of one of Te Arawa’s most well-known chiefs through to our present-day struggle to obtain redress for Treaty of Waitangi breaches by the Crown. The uri of Ngāti Rangitihi descend from the eponymous ancestor Rangitihi who was the great, great grandson of Tamatekapua – the commander of the Arawa Waka. Of Rangitihi’s eight children, Rangiaohia and Apumoana are of greatest significance to the uri of Ngāti Rangitihi. Rangiaohia’s son Mahi married Apumoana’s daughter Rangitihikahira, and from this marriage came six children who are the common tipuna of Ngāti Rangitihi. In pre-European times Ngāti Rangitihi was widely dispersed in and around the lakes district of the Central North Island including Tarawera, Okataina, Rotoehu and Rotomā and the greater coastal area westwards of Matatā towards Maketu. Our eponymous ancestor Rangitihi, great-great-grandson of Tama-te-kapua, was arguably one of the most influential chiefs of the time with authority and kinship to many different hapū groupings. Rangitihi chose to position the Pakatore pā inland between Waiariki and Maketū, overlooking the Kaituna River. Through four strategic marriages with the children of the Bay of Plenty’s most influential leaders, Rangitihi’s eight children were born. They later became known as Ngā Pūmanawa e Waru o Te Arawa – the eight pulsating hearts of Te Arawa. Through his children, Rangitihi laid the foundations for what was to become the modern day Te Arawa confederation of iwi and hapū. Te Arawa multiplied and spread across the geothermal zone of the Central North Island, occupying lands in a continuous line from coast to volcanic mountain interior. The tribe’s settlement of the region progressed and in time, descendants of Rangitihi aligned themselves through intermarriage into the major kin groups known today as the confederation of Te Arawa. The impact of disease and musket raids in the early 1800’s motivated a discordant Te Arawa to reunify. After the battle of Te Tūmū in 1836, our ancestors realised the tragic consequences of European diseases and weapons. The groups banded together as Ngā Pūmanawa e Waru the ‘Eight Pulsating Hearts’ of the children of our ancestor Rangitihi. Te Arawa vowed never to fight among themselves again and became organised and successful in warfare against other tribal groups. Initially a Māori settlement, Matatā had become a centre of trading activity and shipbuilding in the 1840’s and 1850’s. A township, briefly named Richmond, was surveyed in 1868, and a native school was opened in 1872. As well as other long-established commerce, there were local flax mills processing the abundant flax crops from the Rangitaiki plains. By the 1860’s Ngāti Rangitihi were trading with markets in Auckland and Sydney. Numerous flour mills and a flax mill, orchards, farms, fishing and sailing boats, combined with a family-based work ethic brought commercial success. These enterprises stopped when war broke out in the 1860’s and 1870’s. Te Arawa took up arms to defend their customary lands, waterways and resources and advance their tribal authority. Under the leadership of Tohi Te Ururangi and Te Pōkiha, Te Arawa contingents overcame their opposition at the battle of Te Kaokaoroa, near Matatā. 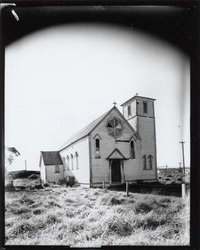 A Catholic mission to Māori was established by the Mill Hill fathers from London at Matatā in 1886. Some years later they built a church, as well as a school and convent at Matatā. Mill Hill fathers continued to serve the settlement’s Catholic congregation until the amalgamation of the parish with Whakatāne in the 1990’s. While ferrying tourists across Lake Tarawera to visit Rotomahana’s famous Pink and White Terraces in 1886, guide Sophia Hinerangi saw a mysterious phantom canoe. The high priest Tūhoto Ariki of Tūhourangi interpreted this as a warning. He feared the terraces were being exploited as a tourist attraction without due regard to ancestral values. 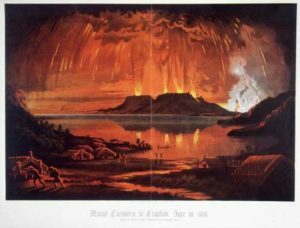 In the early hours of 10 June, our ancestral mountains Wāhanga, Ruawāhia and Tarawera split apart, spewing forth millions of tonnes of ash and debris. The fissure extended down the mountain and through the terraces, from Rotomahana to Waimangu, some 10 kilometres away. Earthquakes were felt throughout the North Island. Auckland residents mistook the noise for distant cannon fire. The following day was pitch black from Rotoiti to Maketū as ash choked the skies. Lake Rotomahana, its terraces and over 150 Tūhourangi–Ngāti Rangitihi residents were buried. 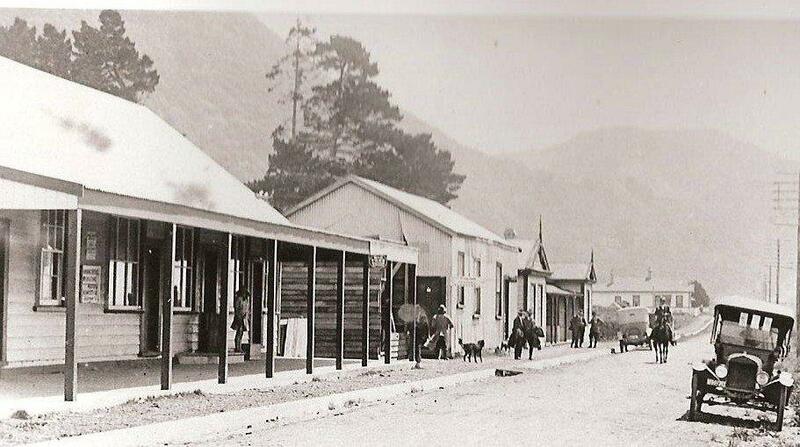 Protected by a valley, the village of Te Wairoa was distant enough for most residents to survive. Many sheltered in Guide Sophia’s house, which did not collapse. The priest Tūhoto Ariki also survived after being dug out from his buried house four days later. Te Arawa kin provided shelter, clothing, lands and food for the survivors. Most found refuge at Whakarewarewa (Ngāti Wāhiao), Ngāpuna (Ngāti Hurunga), Waitangi (Tapuika), Matatā (Ngāti Rangitihi) and Coromandel (Ngāti Hei). 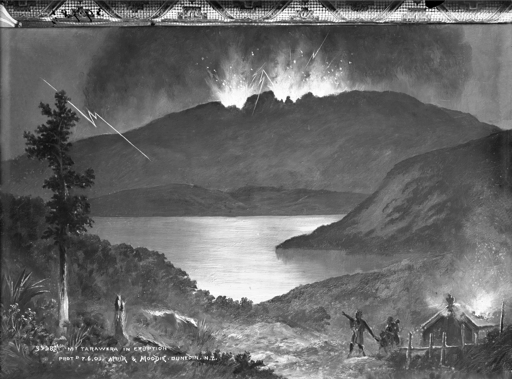 Because the government acquired the devastated area soon after the eruption, the people of Tūhourangi–Ngāti Rangitihi could not return to their Tarawera homeland when it recovered in the early 1900’s. Many Ngāti Rangitihi settled in and around Matatā after taking shelter with their coastal kin following the devastating eruption. 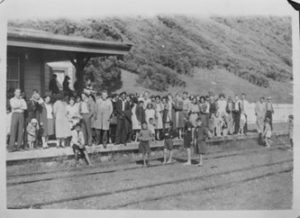 The first half of the 1900’s saw many changes for the people of Ngāti Rangitihi based in and around Matatā. The railway station at Matatā was a focal point for travel in and out of the area for both people and freight. The arrival of modern modes of transport saw a very different way of life begin to emerge from the traditional way of living that people were used to. 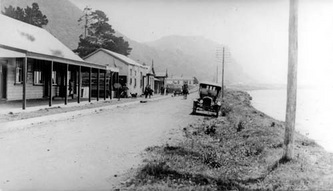 Before its diversion through the present river channel to the Pacific Ocean (known to locals as “The Cut”), Te Awa o te Atua flowed on its natural course where it was joined by the Rangitaiki from the east, through the Matatā lagoon and then out to sea at the portage situated opposite the old Matatā Post Office. 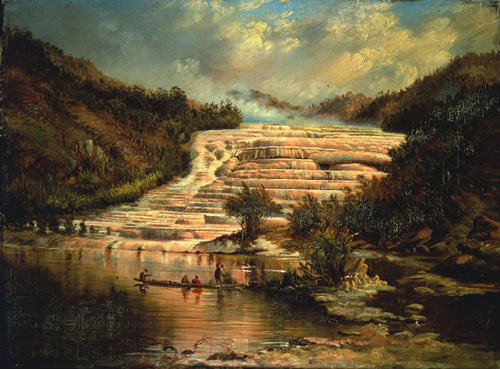 Many pa tuna (eel weirs) were situated in the river and adjacent swamps, with koura, inanga and other kai found in the whole of the surrounding area. Tidal influence on water level is still noticeable for approximately two kilometres upstream of the river mouth and in those days created a bountiful environment for fishing, eeling and collecting kaimoana. The drainage of the Rangitāiki Plains brought many changes – flax cultivation ended, the Tarawera River (Te Awa o te Atua) was diverted and Matatā lost its port. The Cut was constructed in 1917 for drainage purposes. The channelling has eroded and continues to erode an urupa on the eastern side of the current river channel near the river mouth that is of significant cultural importance to Ngāti Rangitihi and other iwi. 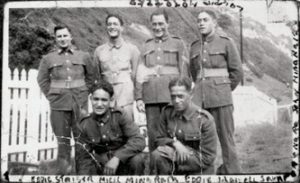 When World War I and World War II broke out in 1914 and 1939 respectively, another chapter in the history of Ngāti Rangitihi warriors was written. The bravery of Maori war heroes is well-known throughout Aotearoa and the world. When the call came to fight for our country, many of our Ngāti Rangitihi tipuna enlisted gladly, some even lied about their ages so they could set sail for distant lands to fight the enemy. Their deeds and sacrifices continue to leave a trail of pride, aroha and whānau touched by the cold hand of war. Monuments to those who served, and those who did not return, stand proudly at the gateway to our marae and every year we remember them with a service on Anzac Day. Despite the challenges for our grandparent’s generation, there was plenty of fun to be had. The arrival of moving pictures saw the establishment of a picture theatre in Matatā next to the present day site of Auntie’s Fish and Chip shop. The theatre doubled as a dance hall and many of Ngāti Rangitihi’s pakeke and kaumatua of today spent their youth dancing to big band music, watching black and white movies and enjoying a wholesome upbringing in the country. An annual ball was held every year at the theatre and was the social event of the year where everyone dressed in their finest and danced the night away. Discharges from the Tasman Pulp and Paper Mill established in the 1950’s caused serious environmental changes to the river and the kai that was once available in plentiful supply became scarce or tainted. With a series of upgrades that saw the mill expand substantially in the 1970’s, the effects on Te Awa o Te Atua became so profound that locals nicknamed it “The Black Drain”. 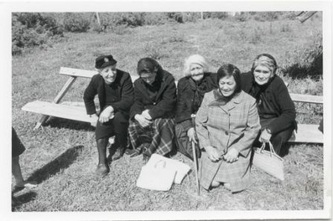 Many people refused to eat fish or eels caught there and the effect on Ngāti Rangitihi’s spiritual and cultural well-being is still being felt today. Ngāti Rangitihi no longer had a pātaka kai on their doorstep. The recent history of Ngāti Rangitihi has been dominated by our fight to obtain redress from the Crown for various breaches of the Treaty of Waitangi. This fight has culminated in Ngāti Rangitihi’s participation in the largest-ever Treaty Settlement as part of the Central North Island (CNI) Iwi Collective. In 2009 Te Mana o Ngāti Rangitihi Trust was a party to the historic CNI Treaty of Waitangi settlement and received more than $9 million in settlement assets and holdings. With a new economic base in place and a strategic plan aimed at the development and growth of our people, the future of Ngāti Rangitihi is certain to be at least as interesting as our past.